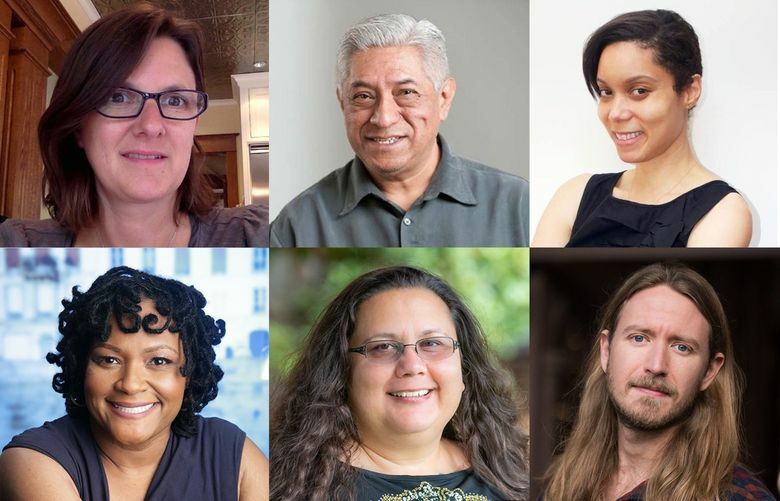 We’re just a little over two weeks away from Ignite Education Lab, our fourth annual storytelling event — and we want you to meet our speakers. These 11 individuals are crafting their talks, each of which will be five minutes with slides timed to advance every 15 seconds. Some are parents, many are educators and all of them have a story to share. They were chosen from about 50 people who pitched us ideas for insightful, personal stories about education. These were the best among those that delighted and moved the entire Education Lab team, which heard all the pitches and voted together. Since 2006, Ignite Seattle has held nearly 30 events that bring people together for speedy talks on a variety of topics. We borrowed this format (with permission) to allow educators, parents and students to share their stories about schools and schooling. Watch the presentations from 2018’s Ignite Education Lab event to learn more. Here’s a full list of the speakers, the titles of their talks and a link to grab your tickets for a night of great stories on Monday, March 11. Gillian currently lives in Bellevue, where she grew up. She graduated from Newport High School and received her bachelor’s degree in history from the University of British Columbia. After graduation, she began her career in the insurance industry, where she has done everything from policy support to claims and commercial underwriting. She is currently making a career change and is completing a master’s degree in teaching at Seattle University. Imani Razat is a Seattle-based (by way of New York) home schooling mom who strongly believes that children should have some input on their education and preferred learning style. She is the mother of Orion, 9, and doubles as production assistant for his creative pursuits — most recently, his award-winning animations which he shares on his YouTube channel, Rocketshipsquid. She is glad to record his jokes as they arise, and they are working together to scatter fun facts throughout the manuscript that Orion is creating. She has a background in magazine journalism, art and design. Kari is a native of the Pacific Northwest, the mother of two teenage daughters and a huge fan of teenagers in general. She founded The SELF Project to promote mindfulness, self-awareness and critical thinking in teens, and to strengthen parent-teen relationships. She has worked in mental health and education and writes about parenting, social justice and education for print and online outlets. Her forthcoming textbook, “One Teenager at a Time,” is a social-emotional education curriculum designed for middle and high schools. Dr. Kimberly Harden is a professor in the Department of Communication at Seattle University. Her research focuses on gendered racism and its effects on African-American male students and faculty, and on how service learning enhances the academic learning and civic engagement of undergraduates. Kimberly is also the co-founder and CEO of Harden Consulting Group. Kimberly and her business partner provide equity-minded faculty-development training, as well as corporate-leader training to help organizations design and/or improve diversity, equity and inclusion. Noah hails from Las Vegas and now resides in Seattle. Since 2015, he has attended the city’s first charter high school, Summit Sierra, located in the Chinatown International District. As a former student designer at the University of Washington’s Landscape Architecture Program, the majority of his extracurricular activities concern apparel and environmentalism. He is currently a fashion ambassador at Nordstrom. He aspires to major in business administration with a minor in art history at the University of San Diego. Beyond college, he hopes to pursue artistic direction in the apparel industry. Raúl Sánchez is a translator currently working on the Spanish version of his inaugural collection, “All Our Brown-Skinned Angels,” which was nominated for the 2013 Washington State Book Award in Poetry. He is currently a poetry mentor for the PONGO Teen Writing Project in the King County Juvenile Detention Center and a teacher for Seattle Arts & Lectures’ Writers in the Schools program. He is also a Jack Straw Poetry Mentor at Denny International Middle School. Ryan Healy is originally from Olympia and has taught for 13 years at Ridgeline Middle School in Yelm, Thurston County. There, he helped develop a transformative student-leadership program focused on social and emotional learning skills and character development. His work focuses on giving as many students as possible access to those skills. He serves other organizations and many of his former students and colleagues long after they have left his school. He is fond of saying relationships matter and even more fond of trying to provide others with the tools to build great relationships. Tracy Castro-Gill was born and raised in Southern California and moved to Seattle in 2010 to complete her degree in social science at the University of Washington. She was a founding member of the Seattle Education Association’s Center for Racial Equity, and through organizing for racial justice in Seattle Public Schools, she helped orchestrate the creation and implementation of a new, pre K-12 ethnic-studies program. She currently serves as the Seattle Public Schools’ Ethnic Studies Program manager and is the 2019 Puget Sound Educational Service District’s Teacher of the Year. She is working toward a doctorate of philosophy in education. Shannon was born and raised in Seattle and has worked in special education for over 20 years. She has a master’s degree in school psychology and a doctorate in educational leadership from the University of Washington. She began her career as a school psychologist and later worked as an early-childhood specialist. She became an administrator in 2012 and is currently the director of Special Services in the Lake Washington School District. She has had the opportunity to present at various conferences on special education and has conducted research regarding women leading for system-level equity within education.